Hello Crafty Friends! I have a bit of a treat for you today. 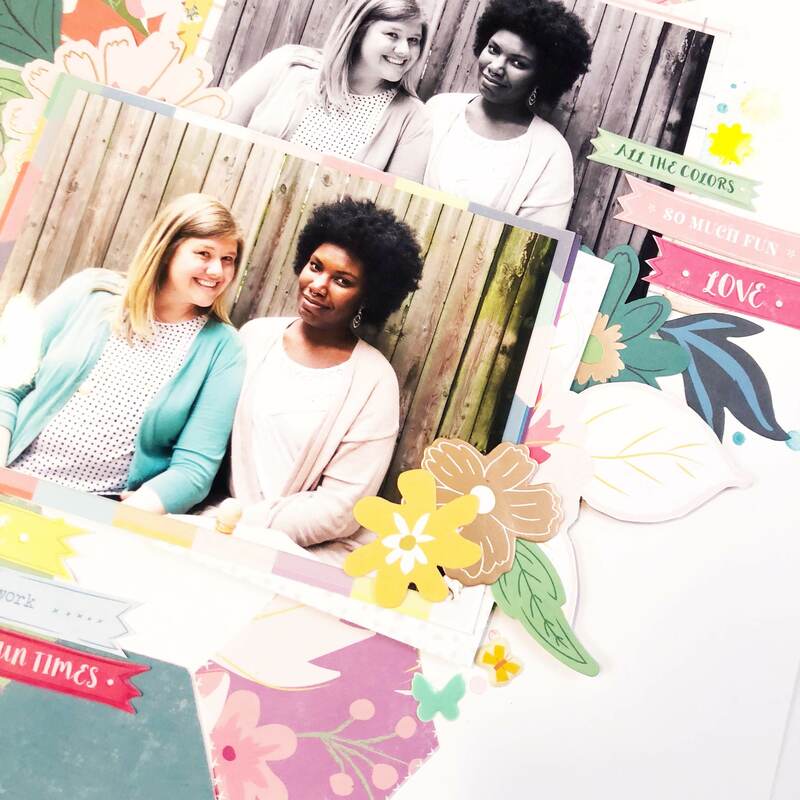 Effie Cho, owner of The Ton Stamps asked me to design a project for The Ton’s 4th Anniversary Blog Hop and I gleefully accepted! I love Effie’s designs and the quality of her stamps is top notch, so I was super enthused about playing with the stamp sets she sent my way. The floral stamps I chose were perfect for this wedding photo that I chose to document. 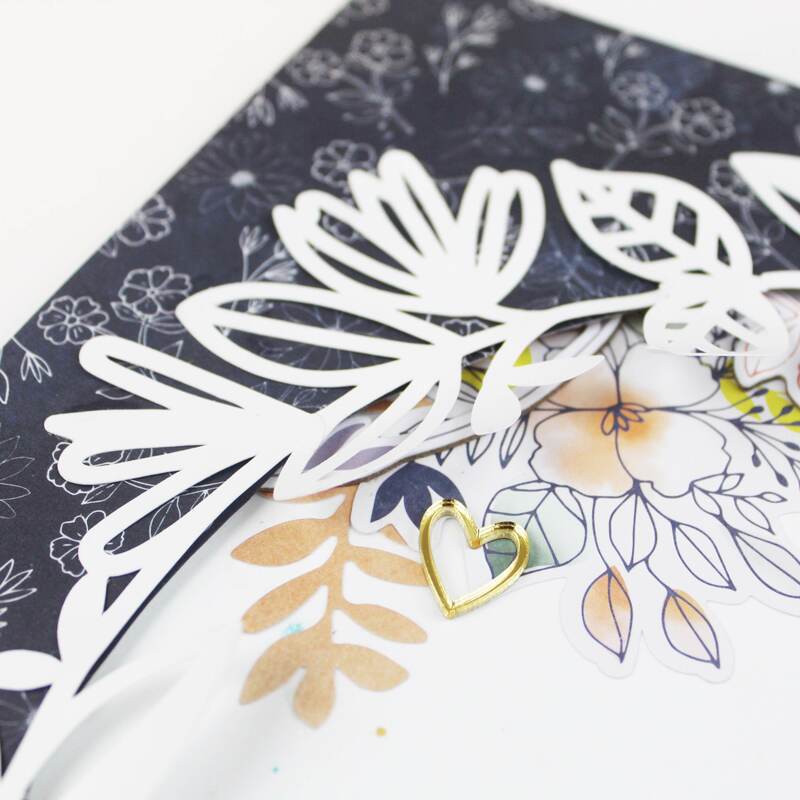 I played with the Today’s Cosmos and Smiling Cosmos stamp sets and I knew that I wanted to do a fair amount of fussy cutting with the gorgeous florals so that was the first thing I did in preparation for the layout. I stamped the three flowers four times using Versafine Onyx Black each and cut them out with fine tip scissors in preparation for the layout. 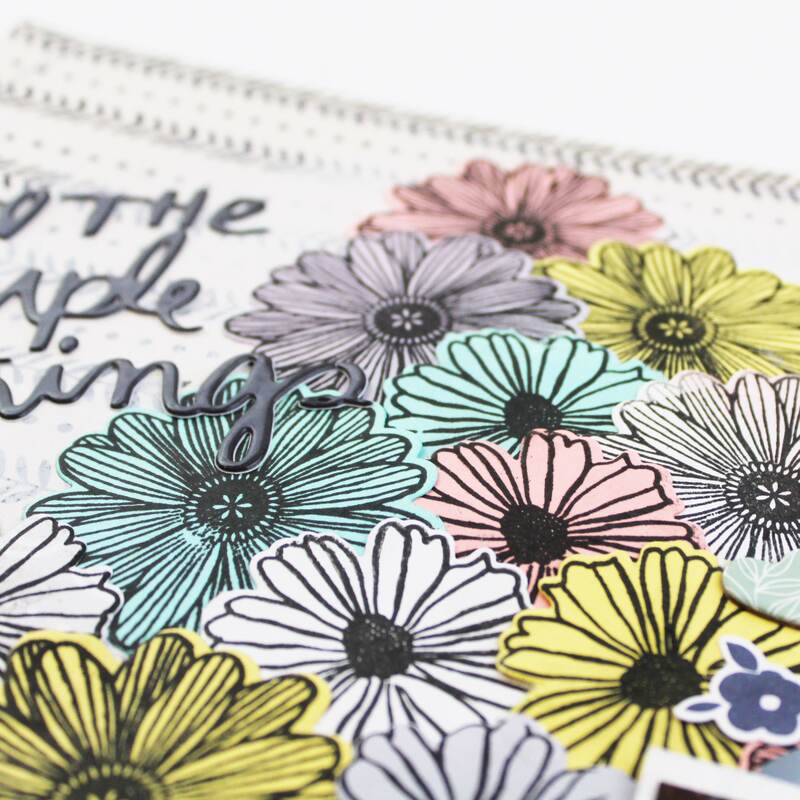 Next, I stamped the large clustered floral using Versafine ink in order to heat emboss the images. I added some flowers and leaf clusters, then covered the stamped images in clear embossing powder, and finally heat set them until the embossing powder was smooth and shiny. This step was 100% necessary because the embossed flowers acted as a resist against the Distress Oxides I used to jazz up the background. I used Worn Lipstick, Fossilized Amber, Broken China, Cracked Pistachio and Shaded Lavender inks and applied them using the packaging technique. The Distress Oxides over top the clear embossing powder was the perfect effect. Finally, after matting my photo on several matching cardstock layers, I placed my photo on the lower left end of my page and surrounded it with the flowers that I had previously cut out. I saved two of the flowers to place on the right side of the page, and stamped a phrase from the Today’s Cosmos stamp set to finalize the page. To title my page, I used an acrylic piece from Color Cast Designs and applied it over the flower on top of my photo. I wanted a bit more color on my page so I added some enamel dots on the left and right side of my layout and called it good. I had a ton of time playing with these stamps from The Ton and I think the layout shows this! 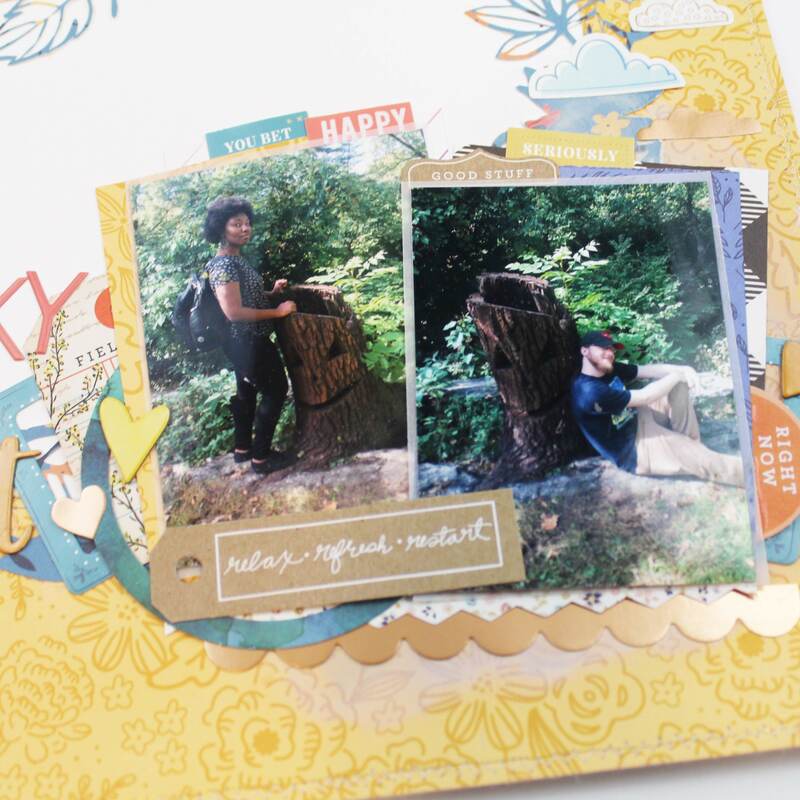 Now here’s a chance to win a stamp set of your own! The Ton is celebrating 4 years this month and Effie has introduced 9 new designs for this release. There are some free gifts with purchase promotions ongoing. Head over to The Ton Stamps’ blog for more details. GIVEAWAYS: There are also giveaways everyday on these mini hops! 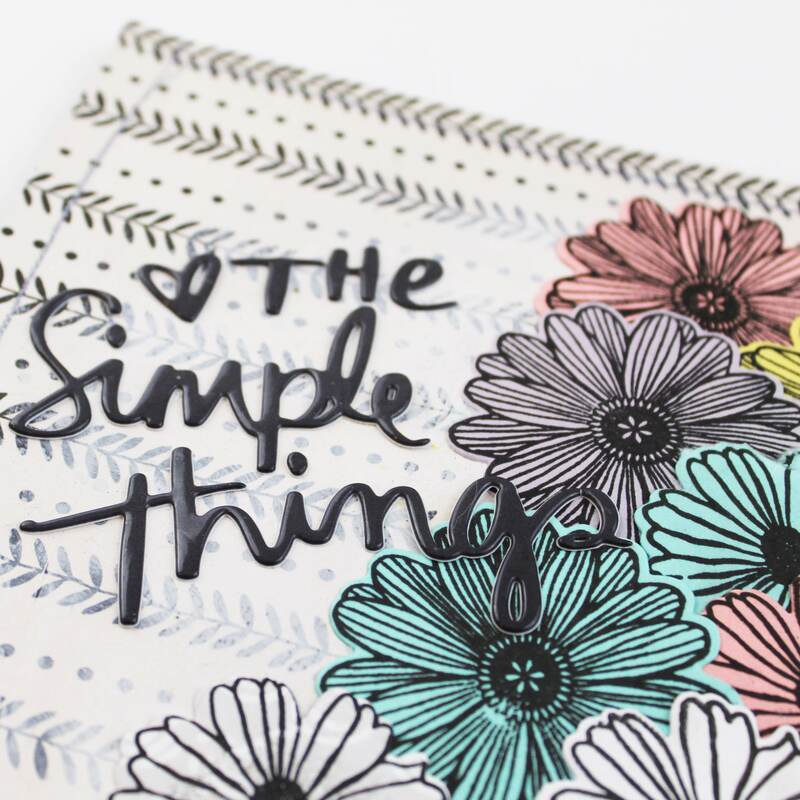 Win a stamp of choice from The Ton’s new release. To enter, leave a comment on each blog each day. Effie will choose one winner per day (4 winners total) and announce the winners on The Ton’s blog by January 12. The comment period for these giveaways will close on January 11 at 7pm EST. Here are the links to the other blogs in today’s hops. 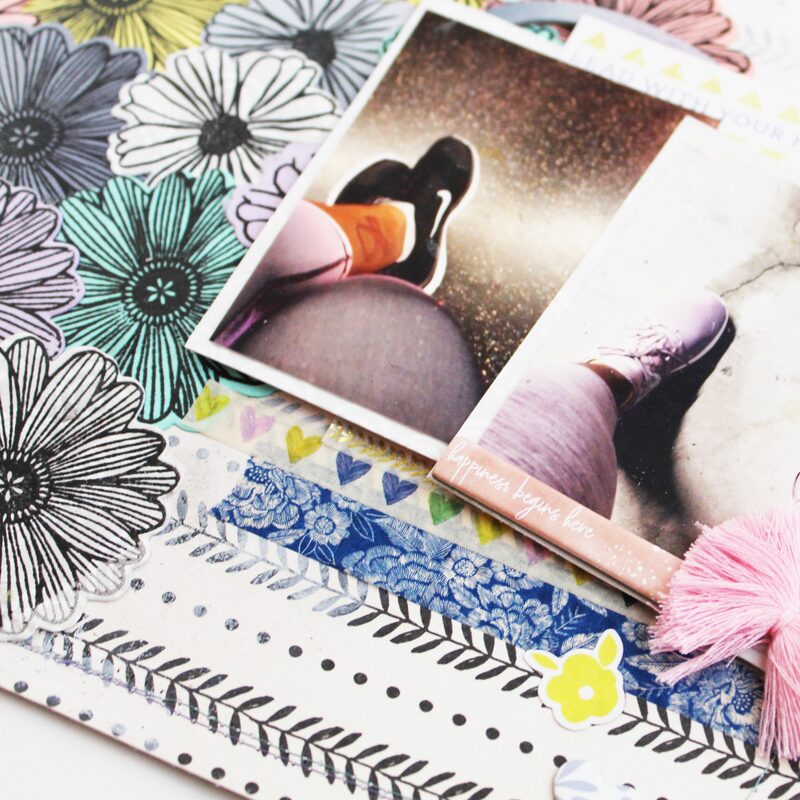 Please take a look at the other crafter’s projects to see how the other makers used the lovely stamp sets. Thanks so much for taking a peek at my layout! Keep it crafty and have a great day, friends. Hello crafty friends! Here’s a layout for the Hip Kit Club. I started with cutting out the exclusive cutfile on the blue, coral and yellow paper because that that paper really felt like fall to me. I then traced out the overall shape on a yellow Jen Hadfield paper and cut that heart out of the center of the paper. I then matted that yellow paper on white card stock and added machine stitching around the heart shape using blue thread as well as a border using white thread. After this, I attached my wreath to the background and began working on my photo cluster. I used a variety of papers from the Main Kit to mat my photos. The story I am telling today is of the time my husband and I went to Boo At The Zoo at the Bronx Zoo. We’re a couple of big kids so we had the best time seeing all the animals as well as all the Halloween added bits – there was even a haunted house! We found this stump that was carved with a scary face and it was the perfect photo opportunity, and the story I chose to tell for this layout. After matting my photos, I pulled out the Vicki Boutin Field Notes ephemera pack and used a few pieces from the pack to create the photo cluster. I also added some cardstock stickers from the Whimsical sticker sheet in coordinating colors to flesh out my embellishing. 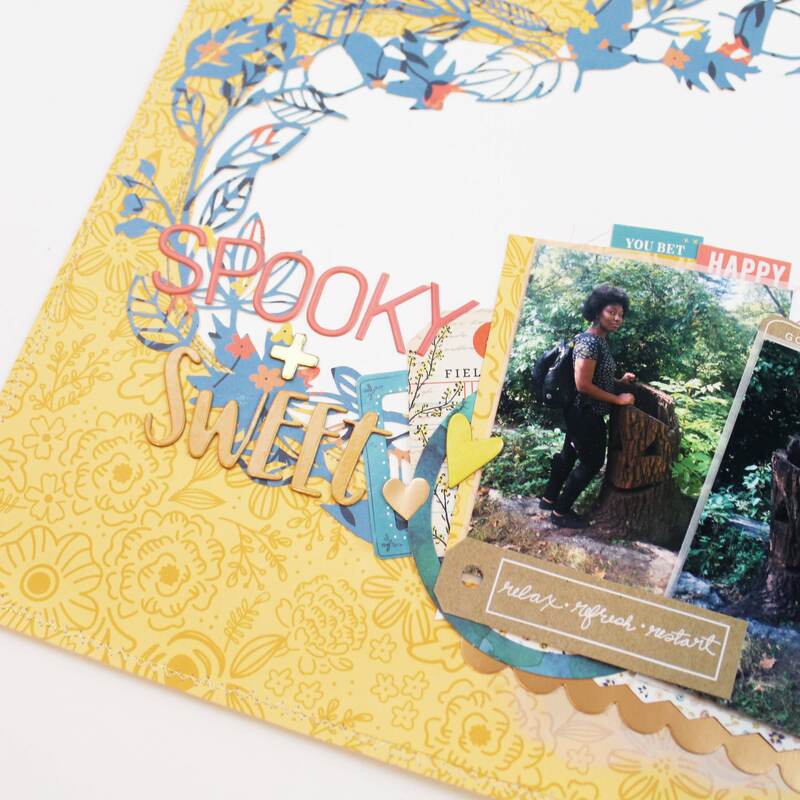 Finally, I chose to use two different alphabets for the title – the exclusive coral puffy alphabet stickers and the Goldenrod chipboard phrase stickers – and I think Spooky and Sweet was the perfect title for this page. 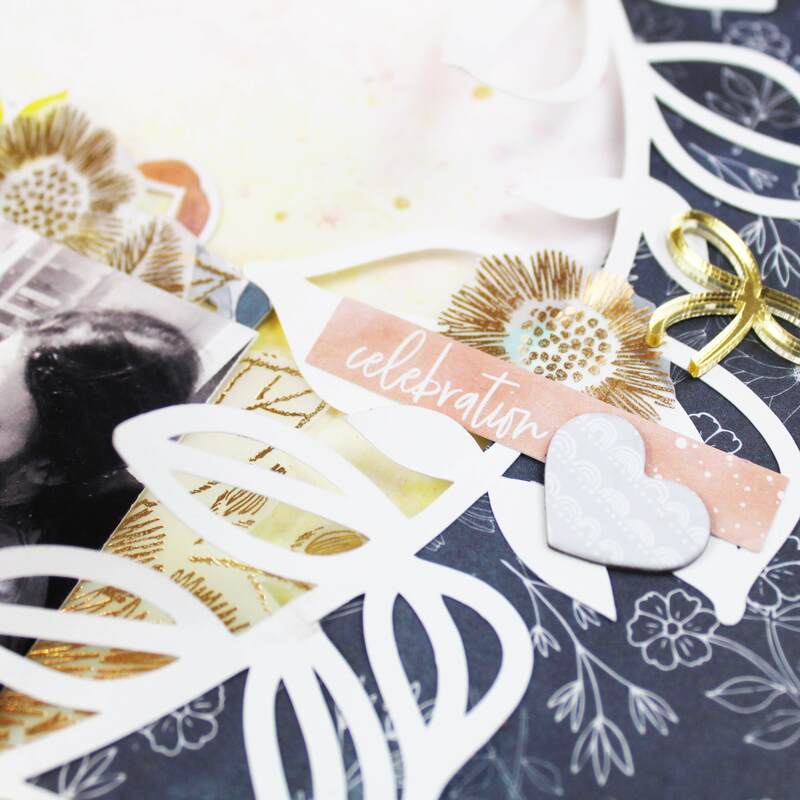 A few chipboard hearts completed the page and I’m loving the muted and darker colors of this page when compared to the rainbow of my previous layout using these kits. I hope you found inspiration here, and as always, keep it crafty friends. See you around. Hello crafty friends. 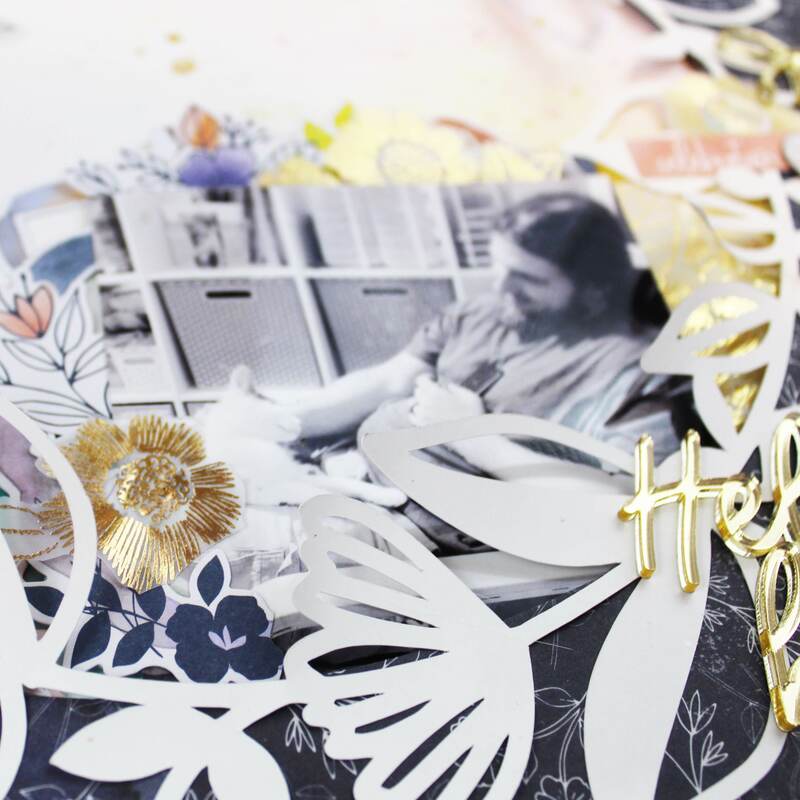 Here’s a scrapbook layout for the Hip Kit Club. I started my layout by cutting out some hexagons from one of the Whimsical patterned papers and adding it to the top and bottom of my page. 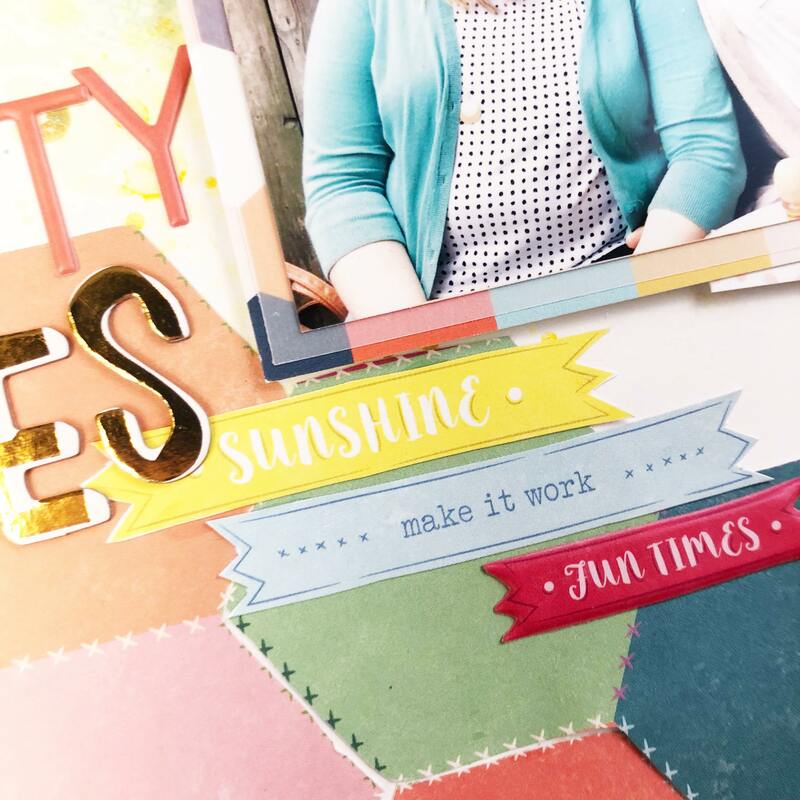 Before I adhered the hexagons to the page, I added some mixed media using Pop Art Pink – a paint from this month’s Color Kit, Mustard Seed and Well Blue Me Down – both paints that were included in previous Color Kits. I then adhered the hexagons down and added some gold stitching for texture and contrast. Next I worked on my photos – I printed the same photo twice, one in color and one in black and white, and it’s a photo of fellow scrapper, Tracey Fox and I when she came to visit my hometown! I thought I would use this photo to tell the story of being a paper crafter and how much I love this community. 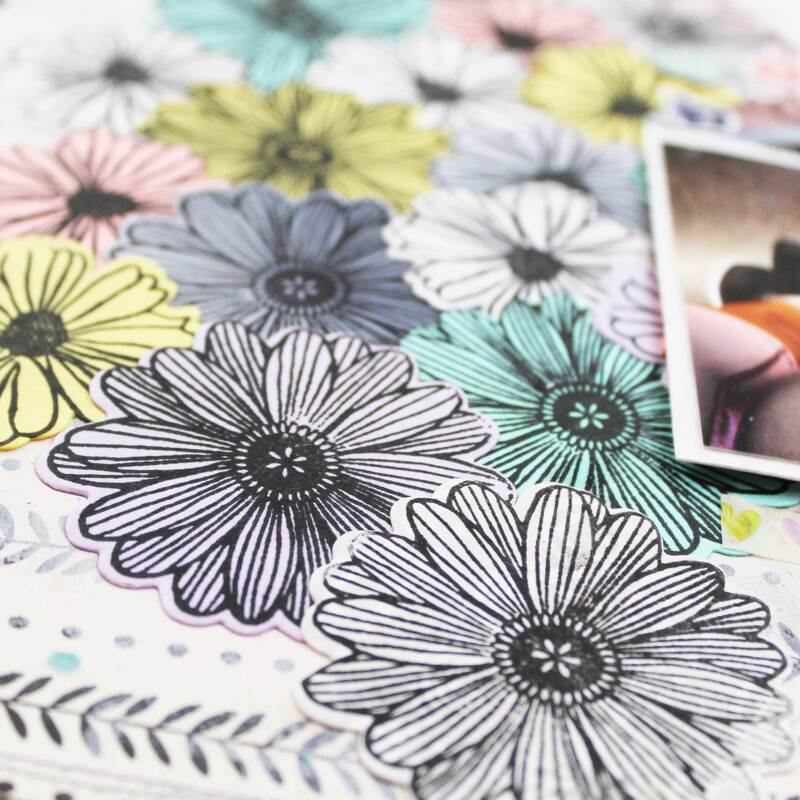 I used some of the journal cards in the Project Life kit as photo mats and then began embellishing using a flower I had fussy cut from one of the Whimsical papers. Next, I pulled out the floral embellishment pack that came in the Embellishment Kit and used some of the flowers and leaves to augment my cluster. Finally, I added some word banner strips that I fussy cut from a paper in the Main Kit. For my title, I used ALL the alphas! 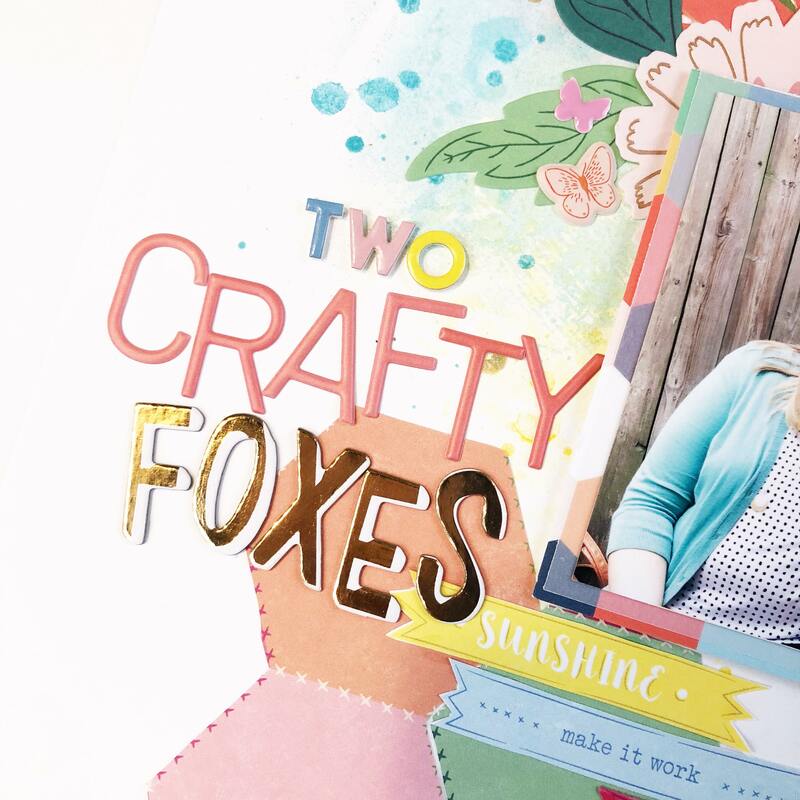 I thought “Two Crafty Foxes” would be the perfect title for this page and the mixed alphas just added to the overall fun vibe of the page. A few Whimsical puffy stickers completed the layout, and if you want to watch the whole process come together, I have a process video of the layout. That’s it for me, friends! I hope you give the sketch a try and tell your own story all about you. Till next time, keep it crafty friends. Hello Crafty Friends. Here’s a new layout for the Hip Kit Club. 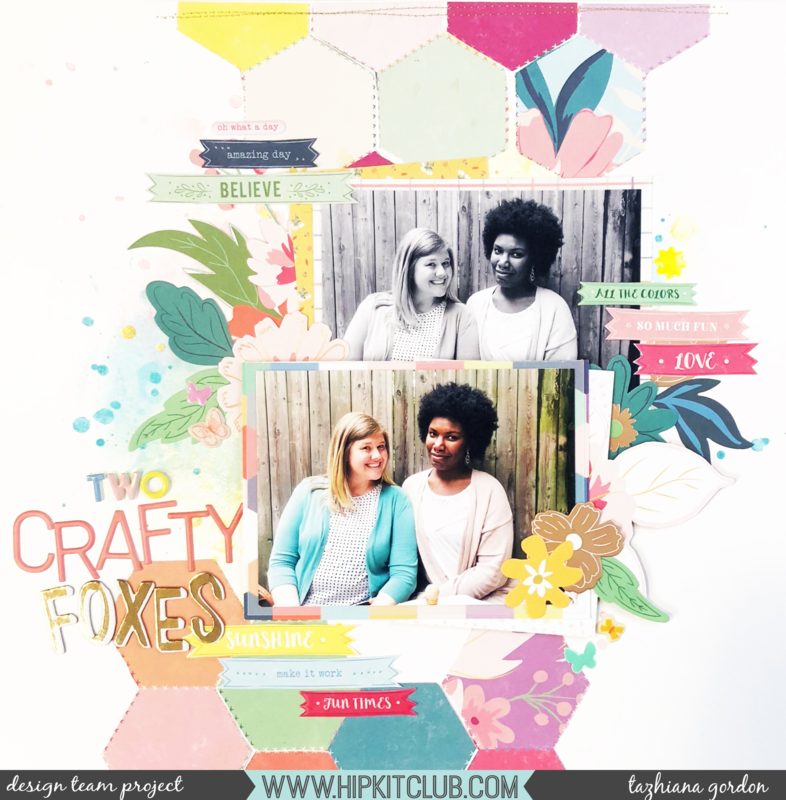 Hello crafty friends – here’s a new layout for the Hip Kit Club. 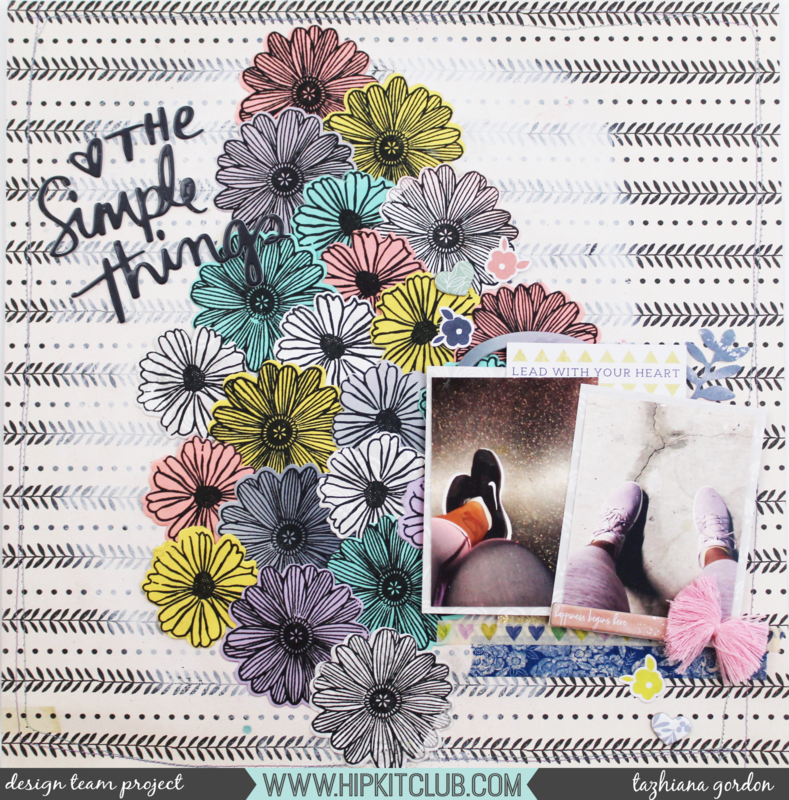 Hello friends – I have a new layout to share with you! Like many people when they saw that Maggie Holmes Willow butterfly paper, I went straight to fussy cutting about a dozen of them. I knew I wanted to repeat the colors of the butterflies in my paper layers on the bottom of the page so I went hunting in my Main Kit for papers that matched well and I got super lucky! I ripped and distressed the edges of my strips to achieve that messy look that i love and then, working in rainbow order, I started with that pink polka dot paper, layered the yellow floral over it, the green scallop over that and finally the blue floral paper over that. After adhering the paper strips to each other, I went to work on the background. I used some Shimmerz products that were included in past color kits to add a very, very light wash of watercolor to the background in hues that matched the colors of the butterflies. I love the slight tone on tone shimmer of the paints underneath the butterflies. Finally, it was time to commit, stick everything down and move on to the main embellishment cluster. The photo I am scrapping is a photo of my husband on our wedding day and he had the biggest smile on – it’s one of my favorites of the night. I printed the photo in black and white because I knew there would be a ton of color on the page. 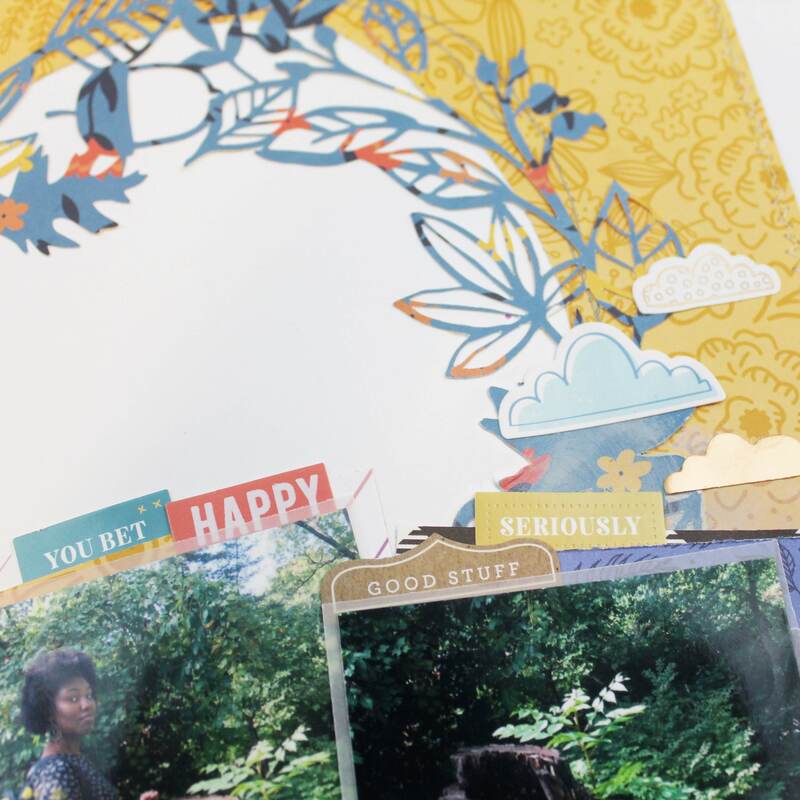 To embellish, I grabbed a Maggie Holmes Willow Lane fringe piece as well as one of those Willow Lane pom pom frames that came in the Main Kit, and finally some Willow Lane die cuts from the ephemera pack. For my title, I grabbed the Willow Lane chipboard sheet from the Embellishment kit and that “always” piece jumped right out at me. I used the black foam thickers from the main kit to create my title: “It was always you” – short and sweet. 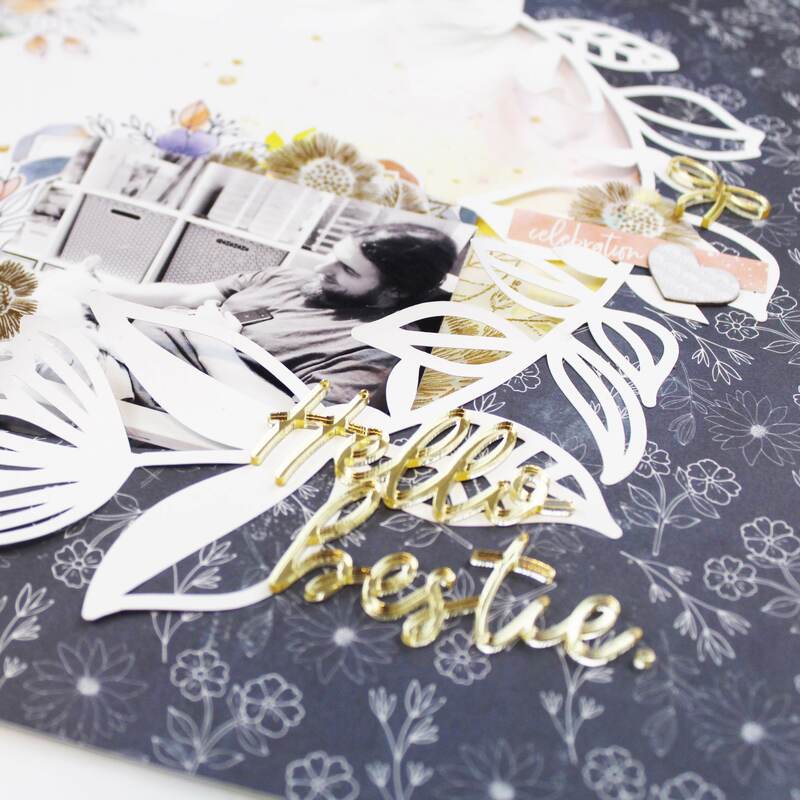 I then added a few more chipboard pieces to my cluster around my photo and called it good. I really do like how this layout came out, and it was really fun to play with the stunning Willow Lane collection to tell the story of a night that meant the world to me. I hope you grab these kits and use them to tell your own stories – no matter how big or small. In the spirit of new traditions, Joshua and I have decided to swap homemade advent calendars this year and it’s only day 2 and I am loving it! On Day 1, Joshua and I welcomed Melody into our home, and she’s been leaving me little notes with my presents. Every morning, I go under the tree, read her note and then go hunt for my gift. Joshua put so much effort into making this that I just had to document this daily in addition to my December album. I grabbed an empty traveler’s notebook insert and purchased Liz Tamanaha’s December You Are My Fave kit for 4×8 albums and put this together. The lovely thing about going digital and hybrid is some of these layouts come together so quickly and effortlessly! I love these simple pages and can’t wait to see what Joshua and Melody get up to the rest of this month! The digital kit I’m using can be purchased here. Happy December and keep it crafty, folks.